The environmental impact of any packaging used has, quite rightly, become very important to all businesses. 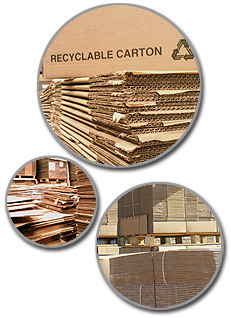 There is no question that corrugated packaging has a very strong case to make. All our corrugated packaging is fully recyclable and in excess of 80% of our new packaging is made from recycled paper. Added to this we also stock a large range of what is ultimately the most environmentally friendly and cost effective packaging, once used cartons. We buy and sell used, obsolete and surplus cartons in all shapes and styles including printed cases.